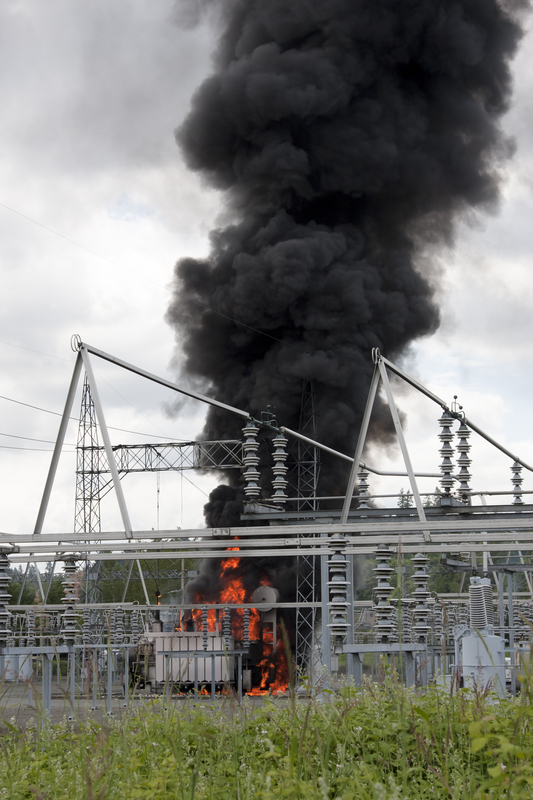 Glancing back to the 1970s, those of us in the power sector can remember when Polychlorinated Biphenyls (PCBs) were the cooling liquid of choice for transformers in locations where fire risk was a critical consideration. Then it happened - PCBs were classified as carcinogenic and persistent organic pollutants. A safer replacement liquid was needed – quickly. Enter silicone oil which seemed to offer a solution; although not biodegradable, the fluid was non-flammable, the price point was good and it was widely used by operators in the US, Middle East and Asia-Pacific. But times have changed and the popularity of silicone has waned. Better performing and environmentally superior alternatives such as ester fluids have come to market. Now, with silicone oil prices nearly tripling to around $7 per litre, even its financial attractiveness has evaporated. Could it be the end of an era for silicone transformer fluids? Silicone is a K class transformer fluid, meaning it has a fire point above 300oC. This means, in the event of a transformer failure due to an arc or lightning strike, there would be no pool fire (as would be the case with mineral oil). Silicone was used for applications where fire safety is of paramount importance. Distribution transformers in built up areas, oil and gas operations, manufacturing facilities handling flammable substances, trains and wind turbines – these are the type of places where fire safety is a crucial factor. In countries with higher ambient temperatures, such as in the Middle East and Asia-Pacific, this is especially important. However, silicone has now been superseded by more technically advanced options such as ester-based transformer fluids. Esters and silicone fluids are both K class (non-flammable), making them ideal for applications where fire safety is critical. However, esters (both synthetic and natural) offer superior environmental protection. Silicone is also notoriously prone to leakage and, once in the environment, takes an extremely long time to degrade. Esters are non-toxic and – crucially – fully biodegradable. So when it comes to selection criteria, esters match or exceed silicone. They also have other advantages. For example, alongside non-flammability, esters also boast a high water-saturation limit. Water ingress can be a real problem for many transformers, especially in humid environments such as in the Asia-Pacific region. Whether used in breathing or sealed transformer designs, esters can tolerate a lot more moisture before their dielectric properties are compromised. Silicone, like mineral oil, is less tolerant of moisture. This shouldn’t matter, as silicone is mostly used in sealed transformers for this very reason. However, this presupposes regular and comprehensive maintenance, which isn’t always the case in the real world. Esters also win from a cooling perspective, especially in regions such as the Middle East, where ambient temperatures of 60oC and above are relatively common. At these temperatures, silicone has a higher viscosity than ester fluids, hampering the power rating of the transformer. This means an operator can get the same power rating for a smaller transformer, yielding significant space savings. In fact, that’s more broadly the case for esters, which boast higher dielectric performance. That means, while silicone is restricted to use in transformers up to around 66kV, esters have no such limit. It also allows higher power-rated transformers of the same size. For applications such as wind farms where turbines are getting bigger and more powerful as time goes on, this offers significant performance advantages. More anecdotally, esters are also just nicer to work with. Anyone who works in a manufacturing facility where silicone is involved will tell you how easily it can contaminate things, how leak-prone it is and how it collects dust and detritus. Transformer manufacturers themselves, or commercial and industrial users with on-site transformers, try to avoid silicone where possible – indeed in a scenario such as an automotive paint plant, silicone is actually banned due to the risks of contamination. The fact that silicone transformer fluids have persisted for so long speaks to one major advantage they have always enjoyed: price. Though prices fluctuate, silicone has typically been available for between $2.5-$2.8 per litre. Not any longer; a combination of rising demand for silicone for other uses and reduced supply has led to a supply imbalance and, therefore, increased prices. When silicone is a core ingredient in items such as screens and computer chips, transformer fluid manufacturers are unlikely to be near the front of the queue for the limited supplies available. Silicone oil prices have now reached $7 per litre and they’re unlikely to go back to where they were. Though it’s not possible to retrofill silicone transformers with ester fluids, there’s a powerful case for users who might usually specify silicone for new transformers to opt for esters instead. Utilities, oil and gas companies, rail operators – there are many sectors where fire-safe transformers are mission critical and that is only exacerbated in the hot climates of the Middle East and Asia-Pacific. As environmental concerns feature more prominently on shareholder and board agendas, esters also stand out for their eco-friendly credentials. Glancing forward, perhaps it’s an end of an era for silicone transformer fluids. Authored by Barry Menzies, Managing Director Global, Midel.